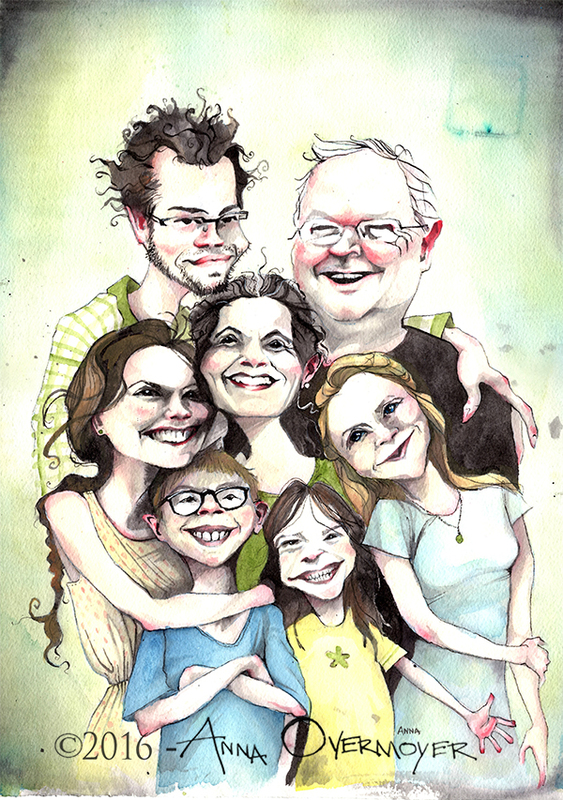 So this was, by far, the smoothest commission process I've ever had. Writer wants two sketches of a character to show her audience. I send estimate. She sends deposit. I send rough sketch. She approves. I do it. Boom! Done! That, my friends, is textbook stuff. 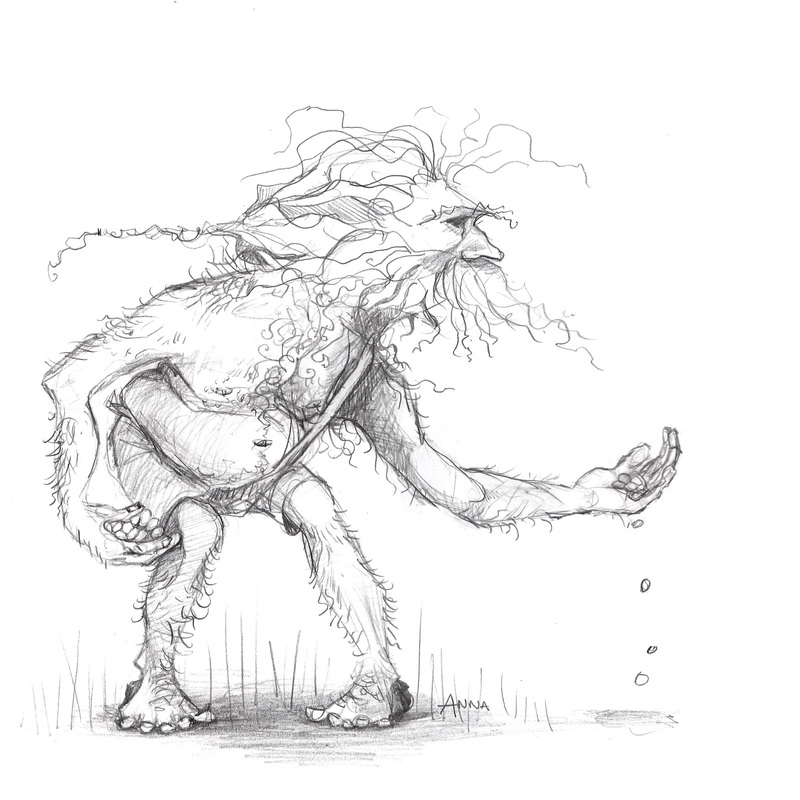 "Grogochs were originally half human, half-fairy aborigines who came from Kintyre in Scotland to settle in Ireland. Resembling a very small elderly man, though covered in coarse, dense reddish hair or fur, he wears no clothes, but sports a variety of twigs and dirt from his travels." 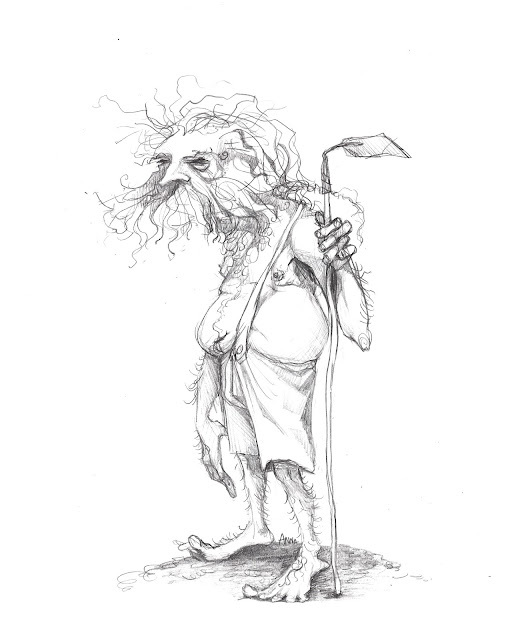 This client saw my work in Ireland and asked if I would do a potbellied, shorts-wearing version of the Grogoch I did for the Woodland Faerie Trail on Achill Island. It's been a few months since I've gotten the chance to do one of these. What a cute bunch! Happy Anniversary Mr. and Mrs.! !